Whatever Jesus says to you, do it. The little He asks from you will be multiplied in His hands. Mary could not wait for Jesus and his disciples to arrive at the wedding celebration in Cana! Everyone was having a good time until the unthinkable happened; the wine supply had run out! Mary understood that running out of wine at this kind of party was a big problem! She brought the situation to Jesus' attention. Then, Mary told the servants to do whatever her Son told them to do. Mary had faith that Jesus would honor her request for help; and she was right! Not only did Jesus perform a miracle to make wine from water; He made the best wine of the party! Jesus honored the request of Mary, His mother, at the wedding celebration in Cana. Jesus performed His first miracle and turned water into wine; not just any wine, but the best wine the guest had tasted! 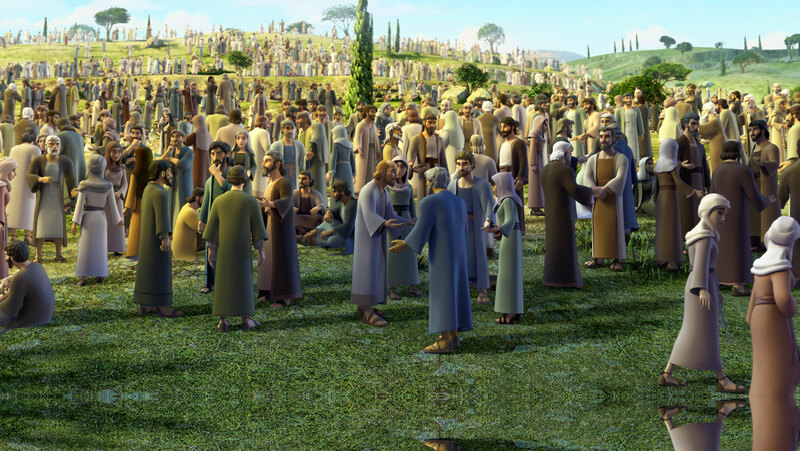 Jesus also had compassion on a huge crowd of over 5000 people that had followed Him. 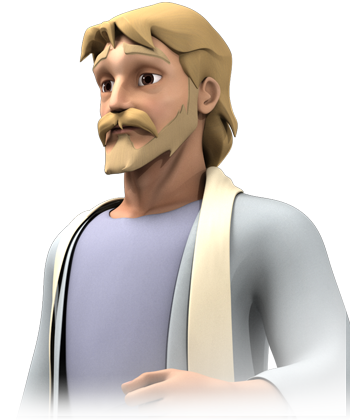 He healed their sick and then miraculously fed them with only the five loaves of bread and two small fish a young boy had brought that day. There was nothing Jesus couldn't do! It was evening; Andrew asked Jesus to send away the tired and hungry crowd to find a place to stay and eat. 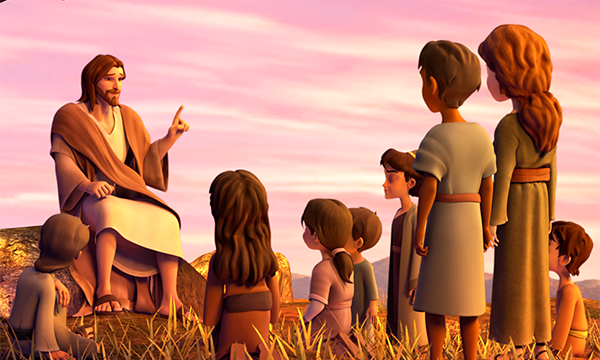 Instead, Jesus instructed His disciples to sit the people down in the grass. Andrew had noticed a young boy who had brought a basket of food containing five loaves of barley bread and two small fish. 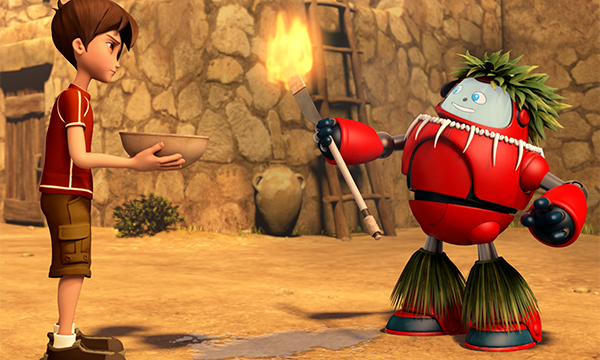 He asked the boy to bring the food to Jesus even though he didn't think it would do much good! Philip was must have been amazed as he gave the food to the crowd after Jesus had miraculously multiplied it. Imagine his thoughts as he and the other disciples gathered twelve baskets of leftovers after over 5000 people had eaten all they wanted! 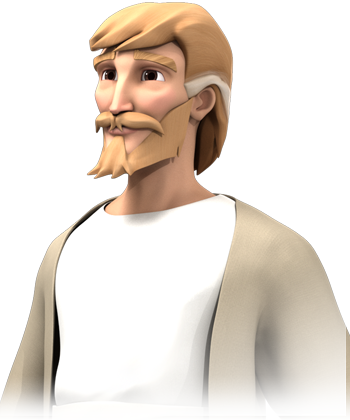 Philip was one of Jesus' first disciples. Jesus decided it was time to give Philip a test! Jesus asked him where they could buy bread to feed the huge crowd that had gathered to listen to Jesus. Unfortunately, Philip did not pass Jesus test of faith that day. Philip replied that even if they worked for months, they wouldn’t have enough money to feed the crowd of well over 5000 people! Philip must have realized his mistake when he witnessed Jesus feed the crowd with only five loaves of bread and two fish! 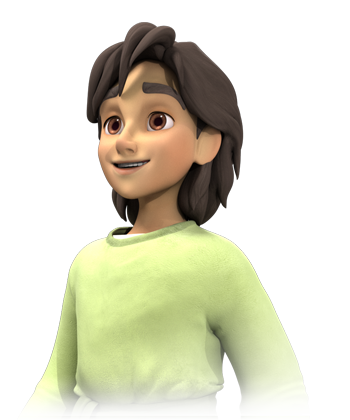 Nathan is the name given to the young boy in the Bible story. 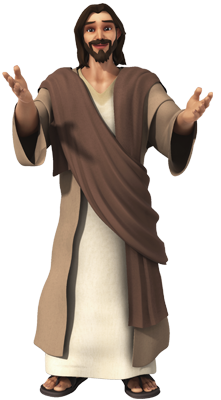 He brought five loaves of barley bread and two small fish that day to hear Jesus teach and hopefully see Jesus' perform miracles! 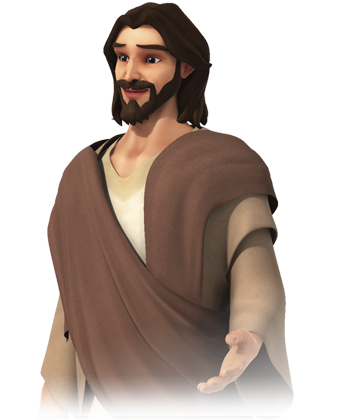 He offered his small amount of food to Jesus and watched Him take the loaves and give thanks to God. Nathan was amazed to see his food feed over 5000 people who ate all they wanted! 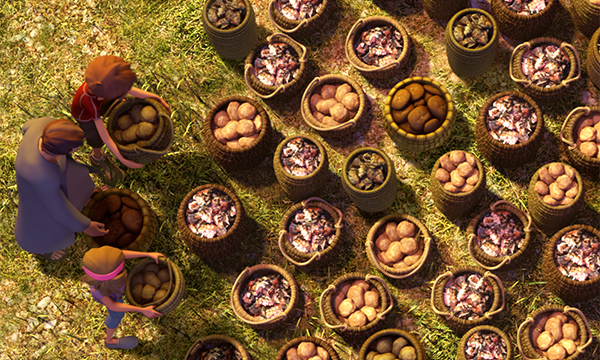 After they were finished eating, Jesus' disciples gathered over twelve baskets of left-overs! Nathan was sure glad he didn't forget to bring his lunch basket that day! He learned that there was nothing Jesus couldn't do! Can Jesus do something with what little I have? 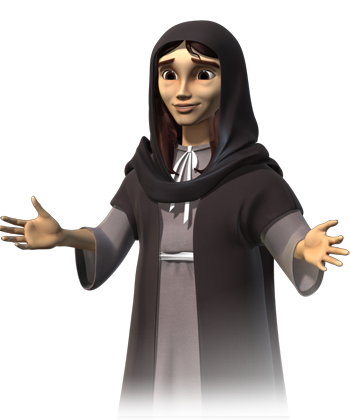 Mary told the servants to do whatever Jesus told them. All Jesus asked was to fill the six jars with water. The servants obeyed and Jesus performed a miracle to change that water into wine. 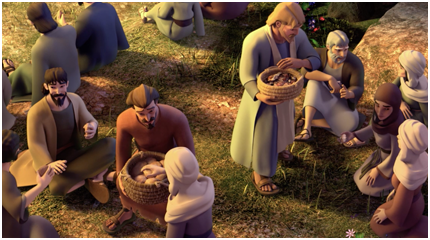 Jesus took the little boy’s food he had brought that day, blessed it, and multiplied the food to feed over 5000 people with twelve baskets left over! Think of this; the entire universe was formed at God’s command. His Word made the heavens and by His breath the stars were born! God formed man from the dust of the ground and breathed life into Him. (Hebrews 11:3; Psalm 33:6; Genesis 2:7). Never wonder if Jesus can do something with what we offer Him. Jesus will take what we bring and multiply it! Andrew and Philip didn’t see how the crowd could be fed and they wanted to send the crowd away to find food. 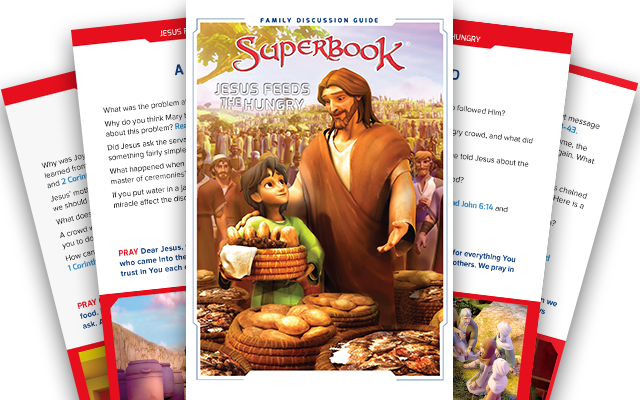 They quickly learned what Jesus could do with just five loaves of bread and two small fish the little boy obediently offered to Jesus. There is no limit to what Jesus can do with what little we have. Does Jesus care about my smaller needs? The supply of wine had run out at the wedding celebration in Cana. 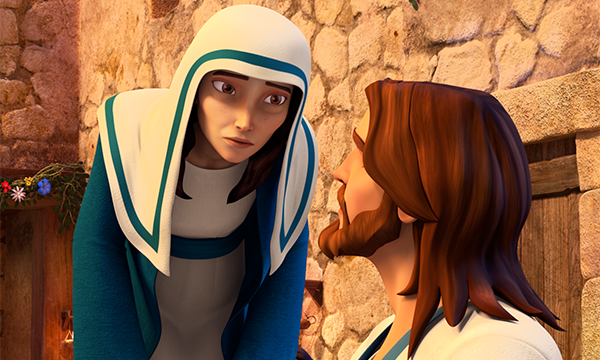 Mary told Jesus about the problem. Did she beg Him to help her? Did she say a long prayer filled with big words? No! The Bible tells us what Mary said in John 2:3: “They have no more wine.” Mary simply brought the need to Jesus. Now, was this need important enough for Jesus to perform His first miracle? Wouldn’t He wait until a bigger problem came up? Jesus responded by turning jars of water into wine to meet the need. And, this was no ordinary wine; it was the best wine the guests were served! Jesus cared about His mother’s request! Jesus cares about our needs too - no matter how big of small they are! In the Bible, the apostle Paul said: “And this same God who takes care of me will supply all your needs from his glorious riches, which have been given to us in Christ Jesus.” (Philippians 4:19). Yes, Jesus cared about Mary and the wedding celebration. He cared for Paul’s needs, and today He cares about supplying our needs too! God’s supplies are endless and whatever the size need we have, He is more than able to meet it! Philippians 4:6 says,” Don't worry about anything; instead, pray about everything. Tell God what you need, and thank him for all he has done.” Sometimes we may be embarrassed because we think our need is too small. After all, there are so many bigger needs for Jesus to meet! So, we fret and worry instead of bringing it to Jesus. This verse tells us to pray instead of worrying. Tell God what you need and then by faith, thank Him for answering your prayer! There are no minimum or maximum requirements for our prayers! Any need, big or small, Jesus wants us to bring to Him and by faith believe He will meet it! Must I include Jesus in everything I do? Jesus and his disciples were invited to the wedding celebration. (John 2:2). When you think about it, shouldn’t Jesus be invited to everything? Shouldn’t He be welcome everywhere we go and in everything we do? If that is not the case, it probably means that it would not be pleasing to Him. Could we invite Jesus into every relationship, activity, and conversation; wouldn’t that be a true test for us? 1 John 2:28 says, And now, dear children, remain in fellowship with Christ so that when he returns, you will be full of courage and not shrink back from him in shame.” When we remain in fellowship with Jesus, we welcome Him to participate in our lives, not just in some things; all things! Jesus in Revelation 3:20 says: “Look! I stand at the door and knock. If you hear my voice and open the door, I will come in, and we will share a meal together as friends.” Many times this verse is talked about in regards to a person coming to know Jesus as their Savior for the first time. However, Jesus is not talking to new believers; He is talking to people already in the church! They have grown lukewarm in their relationship with Jesus. Jesus is telling them to let Him back into their lives and to fellowship with Him again. Yes, Jesus knocks on every door of our lives. Are there some doors that we are not comfortable opening to Him? Jesus wants us to invite Him into every area of our lives. Will you invite Jesus today? Why does God test my faith? 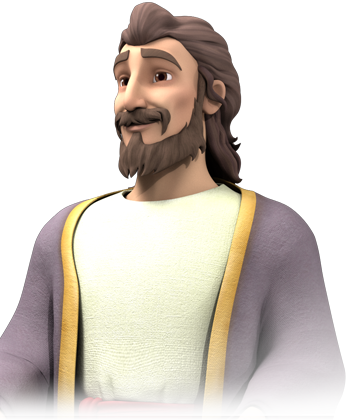 Jesus did not ask for Philip’s input because He actually planned to buy bread! No, Jesus did not have a natural plan; His plan was supernatural. The Bible tells us that Jesus was testing Philip. Would he pass Jesus’ test of faith? Sadly, no he didn’t. Even though Philip had witnessed Jesus’ first miracle of provision, turning water into wine, Philip could not make the faith application with Jesus’ ability to perform another miracle to provide food. (John 6:6-7). What is the first thing that happens when we face what seems like an impossible situation? Do we become frazzled and defeated? 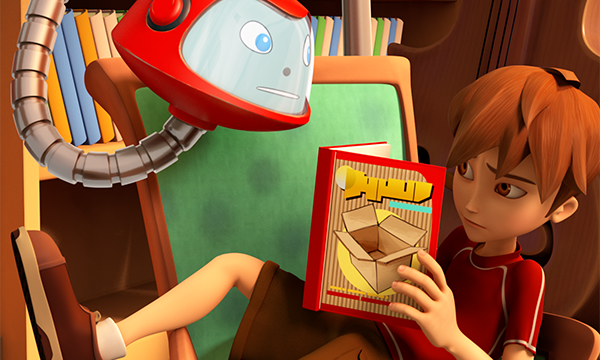 Do we give up because we can’t see a solution with our physical eyes? Or, maybe we think we know the answer but don’t have the ability and resources to meet the need. At times like these, we need to look beyond the natural and beyond ourselves, to look to Jesus by faith. 2 Corinthians 5:7 says, “For we live by believing and not by seeing.” We have such an advantage over Philip. When Jesus tested Philip, he had seen just a few of Jesus’ miracles. We have the entire Bible to read about all the miracles that Jesus’ performed to provide, protect, heal, and rescue His people; including us! In addition to the Bible, we see and experience what Jesus does in our lives and the lives of others. Yes, He still performs miracles today! Like Philip, the question is, will we apply what we have heard and seen God do? When faced with a problem, do we believe by faith that God is even greater than the problem? Matthew 19:26 says, “Jesus looked at them intently and said, "Humanly speaking, it is impossible. But with God everything is possible." Our faith is tested every day; the more we trust God, the greater and stronger our faith becomes. As we mature, our first response becomes one of faith and hope; not fear, despair, or defeat! “Dear brothers and sisters, when troubles come your way, consider it an opportunity for great joy. For you know that when your faith is tested, your endurance has a chance to grow. So let it grow, for when your endurance is fully developed, you will be perfect and complete, needing nothing.” (James 1:2-4). Tests and trials build endurance and strength. Keep your eyes focused on Jesus, not the situation. Pray and study God’s Word. Read of His amazing miracles and build your faith to prepare you to ace any trial and test of faith! Does God always have a plan? 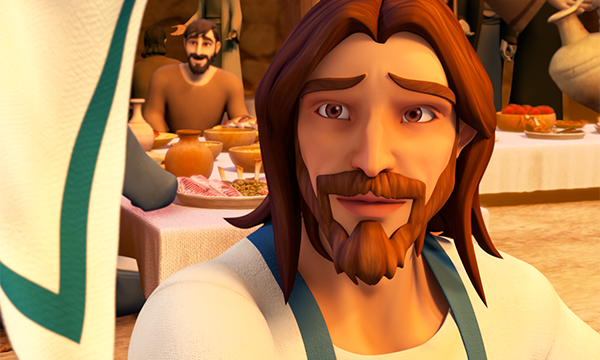 Jesus was not surprised that a large crowd was following Him that day and needed to be fed. Jesus already knew what He was going to do. He had already determined to work a miracle that to feed the crowd. (John 6:6). God is omniscient; that means He knows everything about everything and everyone. He has total knowledge. He even sees inside our heart. (Matthew 9:4; Jeremiah 17:10; Isaiah 46:9-10). God is also omnipresent which means He is ever present. He is everywhere at all times. (Jeremiah 23:24; Psalm 139:7-10). God is omnipotent which means He has all power. He is Almighty God. He can do anything He wills to do. He has all power over all things at all times and in all ways! He has the power to give life to the dead! (Daniel 4:35; Ephesians 1:19-20). Knowing this, it is easy to see why God will never be caught off-guard by anything. He always knows what He will do! When Adam and Eve sinned in the garden, all people, including us, were condemned to die. God had a plan to forgive us and save us! (John 3:16; Romans 5:12; 18-19). In John 11, Jesus was told that His close friend Lazarus was very sick. Jesus was in no hurry. He waited two days because He already knew what He would do. Jesus knew He would raise Lazarus from the dead. By waiting, Jesus knew that His disciples and all the people who gathered would know that He was sent by God when they witnessed the miracle! Yes, nothing surprises God; He always has a plan! And, He has the presence, power, and authority to carry out His plan! (Job 42:1-2; Isaiah 14:27). When we die and go to heaven, do we get angels' wings?